A beautiful, radiant complexion can be just what you need to feel confident and comfortable. But between sun damage, acne, rosacea, and simple aging, it can be hard to feel like you have the youthful, dewy look you want. And make no mistake: creams and lotions are no substitute for the fountain of youth. But now there’s a better way at Helotes Derma Aesthetics. With over a year of service to the Helotes, TX community, Helotes Derma Aesthetics offers a wide range of treatments to help you win back your clear skin – and your confidence. 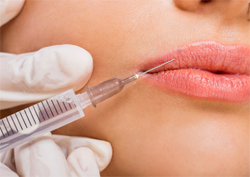 Whether you’re looking for BOTOX or Dysport to take care of some fine lines, microdermabrasion to give you a healthy glow, treatment for acne, or any one of a wide range of other skin treatments, we have it. In fact, we specialize in effective, noninvasive skin treatments so you can get the care you need and get back to your busy day. You only get to enjoy this life once. Why not love the way you look? Call today to set an appointment at Helotes Derma Aesthetics, and get back to being happy with your skin. 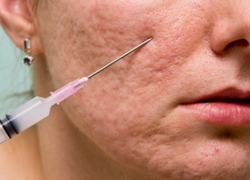 Do you suffer from rosacea, excessive acne, or hyperpigmentation? We have treatments for all of those conditions, and more. After all, between the sun, the wind, pollution, stress, and everything else you have going on, your skin takes a lot of punishment. We have the treatments you need to refresh yourself and feel rejuvenated. And don’t worry about our treatments eating into your downtime. We specialize in noninvasive treatments perfect for people on the go. All you have to do is pop in, get your treatment, and that’s it! You’re free to return to work, school, running after the kids, or whatever else is on your busy schedule. Why not take the steps you need to relax, refresh yourself, and feel comfortable in your own skin? 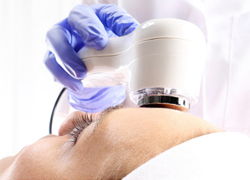 Our experienced technicians are standing by to help you reclaim that fresh, youthful look you love. Let’s get started and find the treatment that’s right for you. Give us a call today to set an appointment at Helotes Derma Aesthetics!